THE country has every reason to be proud of electing Mr Hamid Ansari as Vice-President. It is a measure of the confidence in him that he won the election with more votes than he was committed to get. Small wonder that unlike the presidential election when both the Opposition National Democratic Alliance and the ruling United Progressive Alliance resorted to mudslinging, not one word was spoken against him. Projects and programmes are announced with fanfare, but their implementation is seldom monitored. It was, therefore, quite commendable to have an expert group review the Prime Minister's Rs 17,000-crore package announced a year ago for distressed farmers in 31 districts. The Indian team is looking good, cherishing Anil Kumble adding 110 not out to his 500-plus wickets and gearing up to post its first overseas series win in England in two decades. The same, however, cannot be said about their masters, the Board of Control for Cricket in India (BCCI). Small is beautiful, they say. But is small also good? The experience certainly suggests that smaller states are better governed and better managed. At a time when a leaner and meaner state is in vogue, smaller states certainly pass the muster. Amartya Sen has immortalised the Kerala model globally. My late grandfather was so particular about punctuality that he would tick off even those who were just two minutes late (by his watch). Legend has it that he himself had never been late for any appointment, throughout his life. He used to tell us about the days when he actually ordered the termination of the services of a dozen employees under his command, who were habitual late comers. There is peculiar irony to a man who came from advertising to make ‘non-commercial’ films being honoured with the Dadasaheb Phalke award for lifetime achievement in a climate where even good movies are a medium for brand promotions. It took the boy who made his first ‘film’ as a 12-year-old, over 200 advertising films and commissioned documentaries before he heralded the arrival of a new wave in Indian cinema with Ankur in 1974. Sooner rather than later, the newspaper you’re holding in your hands will be very different than it is today. A couple of fascinating new studies out this week suggest just how profound – and potentially troubling – some of those differences may be. The case of Sanjay Dutt has driven the press crazy with hours and hours spent by the electronic media on discussing his fate. No one claims that Sanju is a terrorist nor is he being penalised for being one. He was merely foolish enough to keep lethal weapons in his house for which he has got adequate punishment. He does deserve sympathy but not from political platforms. THE country has every reason to be proud of electing Mr Hamid Ansari as Vice-President. It is a measure of the confidence in him that he won the election with more votes than he was committed to get. Small wonder that unlike the presidential election when both the Opposition National Democratic Alliance and the ruling United Progressive Alliance resorted to mudslinging, not one word was spoken against him. In fact, it was political compulsion that prevented many MPs, belonging to Opposition parties, from voting for him. The goodwill he enjoys is on account of the blemishless record of service to the nation as a diplomat, ambassador, vice-chancellor of Aligarh Muslim University and chairman of the National Minorities Commission. His election is proof that ability and probity have their rewards. One of the most challenging aspects of vice-presidency is the incumbent’s role as Chairman of the Rajya Sabha. Like many institutions, the Upper House, too, has undergone a change. It is no longer the House of Elders in the strictest sense of the term. Today managing the House is as difficult as the Lok Sabha. But few doubt Mr Ansari’s ability to manage the House given his track record. When he was appointed as India’s Permanent Representative to the United Nations, the “UN specialists” in the External Affairs Ministry questioned it on the ground that he did not know the functioning of the UN. The Cold War had ended and the Soviet Union had disintegrated. Pakistan found the time opportune to gain ground in the UN on Kashmir. But with his mastery of the subject and drafting skills, he was able to frustrate all the attempts Pakistan made in this regard. Vice-chancellorship of AMU is considered a bed of thorns but he could easily win the confidence of the faculty and the students. Seen against this backdrop, apprehensions that lack of political experience would be a handicap for him as Vice-President are unfounded. The country had eminent vice-presidents like Dr S. Radhakrishnan, Dr Zakir Hussain, Justice Mohammed Hidayatullah and K.R. Narayanan, who were known for their qualities of head and heart. Endowed as Mr Ansari is with boundless talent for transparency and credibility, he has all the credentials to join this league of worthy leaders. The nation wishes him all the best as he assumes office as Vice-President. Projects and programmes are announced with fanfare, but their implementation is seldom monitored. It was, therefore, quite commendable to have an expert group review the Prime Minister's Rs 17,000-crore package announced a year ago for distressed farmers in 31 districts. The outcome, though not unpredictable, reveals how government agencies mishandle programmes. There has been little coordination between the Centre and states, even among central departments and ministries enforcing the package. Farmers' credit needs have not been assessed correctly, targets have not been achieved, extension services have been inadequate and there has been no mid-term evaluation. Small wonder then that the package has had limited impact. Farmers' suicides have continued in Vidarbha even after the package was announced. Suicide is an emotive issue and each case is different. A study by a Panjab University teacher and his IAS wife has established this after an intensive verification with the victims' families in Vidarbha's Yavatmal district. There cannot be quick-fix solutions to farmers' suicides, which are a manifestation of a deeper socio-economic malaise. Rejuvenating agriculture is a long-drawn process and the National Commission on Farmers headed by Dr M.S. Swaminathan has offered some workable solutions. Agriculture is a state subject and can be best handled at the local level. One solution or one package may not work for the entire country. Since states usually lack far-sighted and development-oriented leaders, the Centre can evolve policies to reward performers and ignore laggards. Relevant information and expert guidance can be made available to each state. If one state succeeds in a particular area, its experience should be widely shared. Decentralisation of powers is also required. States are handicapped by lack of funds and functional powers. For instance, the central approval committee took too long to clear Bt cotton. Why can't states decide what is good for them and get aid directly from known institutions? The Indian team is looking good, cherishing Anil Kumble adding 110 not out to his 500-plus wickets and gearing up to post its first overseas series win in England in two decades. The same, however, cannot be said about their masters, the Board of Control for Cricket in India (BCCI). 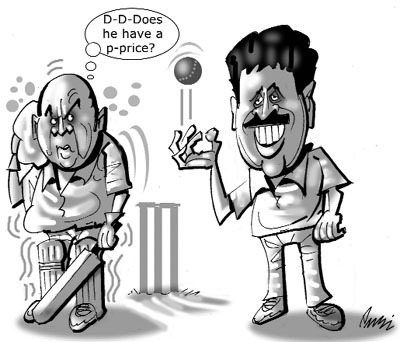 The guardians of the game in India have been running the game with more authority than foresight. The BCCI’s coffers have swelled, but many fans suspect that this success has also come at the expense of the game itself, and proved a hurdle in finding and fielding the best talent at all times, and giving the final team every incentive to win. The current tussle with the nascent Indian Cricket League (ICL) does not show the BCCI in a good light. The President, Mr Sharad Pawar, has reiterated the stand that anyone associating himself with ICL will essentially stand excommunicated from the BCCI. Considering that the BCCI has a monopoly on all cricket-related activities in India, this essentially means that the non-conforming player will stand ostracised. The BCCI argument is that just as anyone is free to join an organisation of his choice, the organisation has to be free to exercise its own rights. This is a specious argument however, as the BCCI is not just any organisation. It has been the sole repository of the trust of cricket players and indeed the people. With its reach and financial muscle, it needs to behave with large-heartedness and not legalese At the least, it should not stymie a venture that might well infuse fresh talent into the game, with restrictive practices. No harm will come, for example, if Kapil Dev continues to head the National Cricket Academy even as he makes a contribution to the ICL. There might well be a case to declare the BCCI a public organisation. Small is beautiful, they say. But is small also good? The experience certainly suggests that smaller states are better governed and better managed. At a time when a leaner and meaner state is in vogue, smaller states certainly pass the muster. Amartya Sen has immortalised the Kerala model globally. If Kerala has done India proud by way of its near-first world human development indices, its small size indeed has to be factored in. Punjab, Haryana, Himachal Pradesh, Goa and Sikkim have made all-round progress thanks to their smaller size. Uttar Pradesh, Madhya Pradesh, Bihar, Andhra Pradesh and Maharashtra, on the other hand, have not risen to their potential. UP and Bihar, the laggards in all respects, have, in fact, been a drag on the nation. One could safely assume that the writ of the state does not often run in big, unwieldy states. Most large states are tottering on the law and order front. Their record on the governance front is dismal and despairing, to say the least. Human development is poor. Yes, they have huge electoral clout, but in the race for development, they are mostly also-rans. Even a highly industrialised and affluent state like Maharashtra is lagging behind smaller ones. Farmers’ suicides in Maharashtra and Andhra Pradesh are a measure of the revolution gone sour. Vidarbha is a fit case for a separate statehood. The States Reorganisation Com-mission had recommended a separate state of Vidarbha but it was vehemently opposed by the then leaders in Maharashtra. Decades later when the demand for separate Vidarbha was revised, the BJP-Shiv Sena combine didn’t allow its formation. But Jharkhand, Uttarakhand and Chhattis-garh were created. One can assume that had Vidarbha been there, it would have tackled farmers’ suicide better. Farmers’ suicides in these two states have reached alarming proportions but the state governments have miserably failed to stem the rot. While in small states also these tragedies have occurred but they are able to tackle it better because the government is nearer to the people. If we take the case of human development indices of bigger states vis-à-vis small ones, one can easily see the growing divide. Just take the case of life expectancy. If we compare the situation in the three big states of Uttar Pradesh, Madhya Pradesh and Bihar with that of Himachal Pradesh, Punjab and Haryana, in the big states the female life expectancy is lower. This is true of infant mortality rate, literacy, per capita income and so on too. Another small state which is soaring high is Sikkim. Pointing out in his illuminating note that Uttar Pradesh is the most backward in education, medical services, road, transportation and maintenance of law and order, Panikkar concluded by saying that while the whole issue of states’ structure in relation to the Centre is being seriously considered, the extraordinary disparity between one unit and the rest must be rectified. This, he said, would determine the evolution, the sanctity, the strength and faith of the people in our Constitution which should be the palladium of our rights. The experience of the last 60 years unmistakably proves that K.M. Panikkar was right. Had we heeded Panikkar, India would have taken an altogether different course of development. The southern states, which are relatively smaller, have managed well and today there is a talk of a digital north-south divide. Only by redrawing state boundaries can we ensure equitable growth. In any event, the phase of linguistic states is now over. Today India needs to create smaller states for the sake of better development and administrative efficacy. One may argue that we created three new states — Jharkhand, Uttarakhand and Chhattisgarh — and they have not become model states. But the reality is that seven years is too short a period for any state to reach an ideal level of political, social and economic development. Between 1956 and 2000, that is in 44 years, they inherited and imbibed all the negative forces of the three giant states. However, in spite of their birth pangs, indications are that these new states are on the correct path. Maybe in 2010, the decadal scientific evaluation and assessment will bring about a better picture of their performance which, as per the present indicators, are very optimistic. One argument against creation of new small states is the cost of infrastructure and administrative machinery for governance. But after the capital investments this is not a major issue because small states could bring honest, accountable administration with good governance. If India’s uneven development has to be arrested, it must create new states out of the present three big states — Bihar, Uttar Pradesh, Madhya Pradesh — as well as heed the demands from Maharashtra and Andhra Pradesh. These demands of the people for new states reflect the ground reality of their under-development as well as frustrations with the seats of power far away from where they are. It cannot be ignored for a long time. Already noises are being made why the better performing small and medium states should pay for the inefficiency and waywardness of the big states. This voice, when it becomes louder, will prove Panikkar right. It is true that the rich and the well-endowed don’t give in to moral appeals. This is certainly the case of our political class. Democracy cannot be a game of numbers. They are the biggest stumbling block in the way of the creation of small states. But the politicians must realise that social and economic development is the basic foundation of a polity and the present discontent will have far reaching consequences. Therefore, earlier they give up, the better. Time has come to set up another States Reorganisation Commission for holistic development of India. It is mere sentiment and not logic behind not touching bigger states like UP. The land of “Ganga-Yamuna” and the karamabhoomi of Rama and Krishna, it is maintained, need not be divided. Such arguments are utterly foolish and must be dismissed out of hand. The so-called mainstream flows not just from the Ganga and the Yamuna, but also from the Brahamputra and the Godavari. India can’t afford to live in mythology; it must look to future. Yes, small is beautiful and small can think big. The writer is Director, Institute of Social Sciences, New Delhi. We Indians are by and large not very particular about time. Many weddings and other social occasions which are scheduled to begin at 8 pm, actually see some action around 10 pm. An early bird may find even the hosts missing when he arrives at such dos! Many official invitations carry a note stating the time when one is expected to be seated, only to ensure that there are a respectable number of people in the audience when the chief guest arrives (just in case he arrives on time). Meetings in offices often see some stragglers reporting at a time when all decisions have been taken, and only tea and cookies are left on the agenda. It is only with some strict seniors that no one dares to take such liberties. Indeed it is amazing to see just how punctual some late-lateefs can become when faced with the prospect of disciplinary action. Lovers are known to go into a huff when their beloved turns up late for a date. Sometimes the offending party has to go to great lengths to appease the miffed one. The boyfriend is the one who normally ends up shelling out much more than his budgetary provision, if he dares to keep his girl waiting. He may have to buy her a bunch of flowers or worse, a bracelet, to restore peace and tranquillity. A sister-in-law of mine is prone to waking up late and therefore remains behind schedule for most of the day. Once when she was to pick the family up from the station in New Delhi, we were worried because the train was over an hour late, and she would be waiting in the heat, or so we thought. These were pre-mobile phone days and there was no way of getting across to her. When we finally arrived and did not find her at the designated spot, we wondered if she’d gone back. But lo and behold, there she was suddenly, driving into the station before our eyes, oblivious to the train delay, and asking us if we’d been waiting long. Thank God for late trains, we thought! My grandfather would indeed not have been pleased at such laxity. In fact on the day of his demise, as we reached the crematorium, my uncle happened to look at his watch which indicated the time to be 1 pm, correct to the second, the appointed time. “Even today, Daddy is exactly on time!” he exclaimed. We could only nod in agreement. Shyam Benegal had embarked on a fascinating journey: an intellectual adventure in a business that thrived on manufacturing crude, escapist fare to cater to the lowest common denominator of the ‘masses’. And, as he moved ahead on the road less travelled by, Benegal broke the mould to provocatively expose, in full celluloid glare, the cant, the hypocrisy, the oppressive traps of feudalism, caste, gender and poverty, the social cleavages and the awesome economic disparities Indian society is heir to. For all his cerebral engagement with contemporary issues and concerns, his films have a straight-from-the-heart quality, which is their chief strength and yet the point most vulnerable to criticism. Predictably the criticism, in the 1970s and 1980s, was about his preoccupation with balance giving rise to ideological inconsistencies, such as his refusal to expose the structures of oppression while dwelling on the manifestations. As Benegal’s remarkable experimental journey gathered momentum – and with a measure of popular applause that eluded those who stood apart and taller, like Satyajit Ray and Mrinal Sen – the wider appeal of his cinema silenced, if not sidelined, his critics. The issue was no longer the validity of the criticism. The issue became what he was up against – the mainstream film industry – through which he had blazed a pioneering trail to establish what has come to be known as ‘New Cinema’, ‘Middle Cinema’ or ‘Parallel Cinema’. His ceaseless exploration of societal conflicts and contradictions in film after film during the decades since Ankur testify to his unwavering resolve to use cinema for the cause of social awareness. It was the most challenging film to hit not only audiences but also the Bombay film industry. Those who dismissed it as another story of a landlord and his mistress were shaken out of their complacency. Ankur went on to win over a score of international awards. 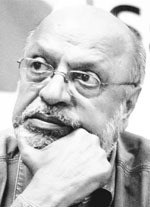 In the 30-plus years since then, Benegal has lit up screens with 24 unforgettable feature films; and, over a thousand ad films, numerous documentaries and television serials. Nishant, Manthan and Bhumika followed Ankur in quick succession before the Shashi Kapoor-backed Junoon, which signalled that here was a force the commercial mainstream had to reckon with. Satyajit Ray inspired Benegal. Yet, Benegal’s popularity exceeds that of Ray, whose films acquired exposure in India after they were lauded in the West. In contrast, Benegal’s films reached wider audiences in India and almost always before they were seen by viewers abroad. Doubtless, that Benegal’s films were in Hindi and Ray’s in Bengali, was another reason for the distance between the latter and his Indian audiences. And, the international recognition that Benegal enjoys is next only to that of Ray. His films are marked by a deep humanism and the concepts, values and concerns of Benegal’s films have a universal appeal. His vision, ways of perception, sense of adventure, lack of didacticism, commitment to values, compassion for the weak and excluded, willingness to experiment – with vocabulary, narrative structure and technique – are evident in his films which have come to occupy a unique place in Hindi cinema. His films are educative entertainers and he is uncompromising even in his ‘commercial’ efforts like Sardari Begum and Zubeidaa. His choice of themes, stories, style, narrative, delineation of characters and aesthetic sensibilities in portraying contemporary India in its myriad facets make him a director in a distinctive class all his own. In the world of Parallel Cinema, too, he stands out for realising the value of marketing his films. For a director who couldn’t afford ‘stars’, his discoveries – Shabana Azmi and Naseerudin Shah, among others – have emerged as stars with superior value. Benegal is not one to rest on his laurels even if the latest one is the Phalke award. It is hard for him to be inactive. After his Netaji Subhash Chandra Bose: The Forgotten Hero, Benegal has been preoccupied with three films, of which Mahadev may be the first one to unspool in the theatres. With his yen for biographical films, he plans another one on Noor Inayat Khan, the spy princess killed by the Nazis, based on Shrabani Basu’s book. He is a long-distance runner, and at 73, India’s best known and most prolific ‘middle cinema’ director still holds out the promise of a lot more lights, camera and action. Keep going, Shyam. One of those surveys comes from Britain, where the media research firm Nielsen/ NetRatings reports that the online editions of the UK’s two largest “quality” newspapers – the Guardian and the Times of London – now have more American than British readers. The Independent, a smaller serious daily, already has twice as many readers in the United States as it does in Britain and, if the current trend holds, even the very Tory Daily Telegraph’s online edition shortly will have more readers in the United States than in the Home Counties. What’s up? You can’t, of course, entirely exclude the snob factor. Still, given the kinds of numbers Nielsen turned up, something else is at work. The quality British papers, particularly in their online editions, are much farther down the road toward what looks like the future of newspaper journalism, one that places a much higher premium on analysis and opinion than do serious American newspapers. When Britain’s former Prime Minister Tony Blair complained in one of his farewell addresses that the British broadsheets had transformed themselves from newspapers to “viewspapers,” Tony O’Reilly, the Irish magnate who owns the Independent newspaper group proudly agreed, saying it’s what his readers want. “Opinions about the news media have grown much more partisan, particularly over the past decade. Far more than twice as many Republicans as Democrats say news organizations are too critical of America (63 percent vs. 23 percent). There is virtually no measure of press performance on which there is not a substantial gap in the views of political partisans. So, we’re back to where we started: Sooner rather than later, the newspaper you’re holding in your hands will be very different than it is today. Different in what way is the fair and obvious question. The honest answer is that nobody knows for certain, but the odds are it will be a hybrid publication in which an online edition focusing mainly on breaking news and service works in tandem with a print edition whose staples are analysis, context and opinion. The former almost surely will have a lot more video and interactivity than it does today; the latter will have to be much more thoughtful and far more intensely and carefully edited. It’s a difficult – though not impossible – transition and the scandal of cable news’ failed transformation provides a cautionary example. As Fox and CNN demonstrate to the rest of the news media, it’s possible to save your financial skin and forfeit any claim on respect. So how do newspapers manage this passage while holding onto their “souls” – that sense that they are, uniquely, businesses worthy of constitutional protection because their bottom line reckons service to the common good alongside profit and loss? One way is maintain the serious news media’s postwar tradition of nonpartisan journalism, leaving advocacy to the editorial pages. As they give themselves over to more analysis and commentary, newspapers will have to be more vigilant about being genuinely honest brokers of ideas, opening their news columns to a far broader spectrum of serious opinions and perspectives – liberal to conservative – than even the best of them do now. The Congress has no role to play in matters of justice and their ministers, if at all they want to express an opinion, should do so in their individual capacities. Judge Kode sat through an incredible trial sifting through mounds of evidence before pronouncing judgement in the Mumbai blasts case. The judiciary ought to be congratulated for letting him continue with the case throughout. The workaholic judge never missed a single day of the trial and saw to it that unnecessary delays were not resorted to by vested interests. He also deserves kudos for standing firm against numerous threats and the fulminations of those convicted. The police and their team of lawyers also did a great job with painstaking investigations to gather clinching evidence against the accused. The judgements will, the people hope, deter potential terrorists and their supporters. The capital has been abuzz on all kinds of political activities. A mere Congress office canteen contractor has been in the limelight, nearly bringing down the Delhi government. The dissident group in the capital was trying its level best to bring in Chief Minister Shiela Dikshit's name. But it backfired. It is anyway very difficult for anyone to believe that a person of Shiela Dikshit's calibre and integrity would have anything to do with a person like Malhotra. The local Transport Ministry, the Urban Affairs Ministry and the MCD are the ones directly involved in this scam. With the CBI taking over the case, hopefully, we will know who the real culprits are. But in this whole drama Shiela Dikshit has come out in flying colours with everyone from the Congress President, the Prime Minister and the local party workers speaking up for her. But with elections just one year away, does the Congress need such scams coming up? MLA Devi Singh Shekhawat is on his first trip to Maharashtra after his wife Pratibha Patil became the President of India. This has created a flutter among the bureaucratic and political circles in Mumbai. Along with the protocol fit for the President’s spouse, is the request for a number of AC cars, officials, VIP suites fitted with fax and internet, local photographer, and rooms for ADC and staff. Never has a spouse of a VIP created such a flutter. His taste buds are not used to spicy food and he prefers poha, idli and vadas. He gets a special protocol officer along with police escorts, pilot, cars and medical cover. So goes the first lady’s spouse to a tour of his home state.